Beer is the common man’s drink in Germany. It is considered to be the national beverage of Germany. So the Germans are attached to beer at all levels of their being – physical, emotional and sentimental. Beer is consumed in Germany with such an ardor that it becomes an obsession with the Germans. Germans take great pride in recounting their centuries-old beer history and the fabulous tradition associated with it. As a result, they will not bear with any kind of tampering with the production or selling of this popular drink. In Germany, beer production almost amounts to an art. The varieties of beer are incredibly numerous. It depends on individual taste as well as the taste of a locality or community. The individuality of every variety is so unique that it gives the community and the town that produces it, a hall mark. It is said the there are more or less 5000 brands of German beer. There are forty different types of beers and they happen to be in countless flavors. It is said, half jokingly, that one can drink a different flavor of German beer every evening for 13+ years without repeating the flavor. This proves the wide range of flavors of beer served in Germany. It is not only the production of beer that associates it with the German culture, but also the catering of it. Germans take meticulous care in everything about beer production and handling. The tavern equipments are rendered perfectly clean and the beer is stored properly and served well chilled. 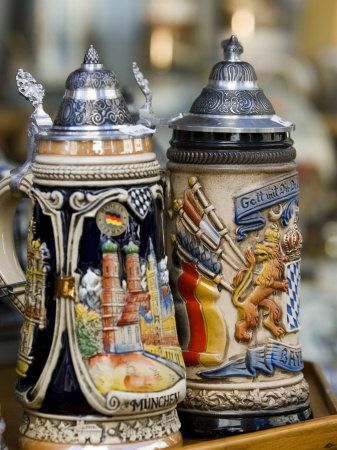 Like the beer, the Germans are also proud of their beer steins, as these steins signify the German culture of each era in the German history. The 14th century beer steins bring out the class difference of the age. The poor people used earthen and wooden beer steins while the wealthy and the aristocrats used expensive silver and pewter steins. The renaissance brought in the vitrified German beer steins and they illustrated the renaissance art. 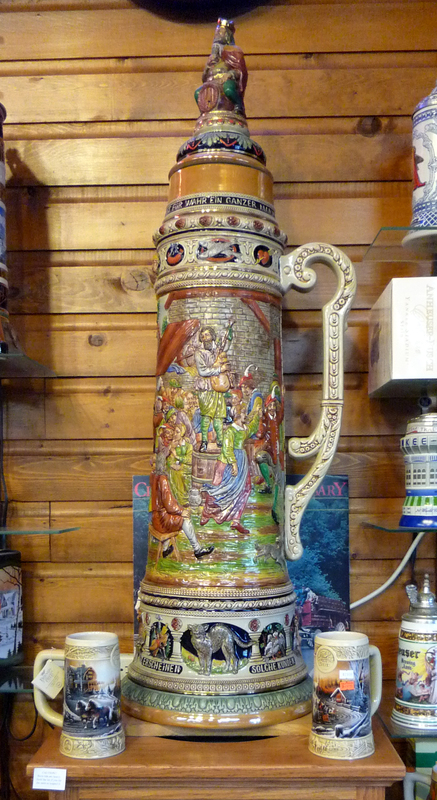 The beer steins of the period were decorated with scenes from history and bible. The German beer steins even identified the provinces that made them, with their shape and color. When the aristocracy degenerated in the 19th century the German beer steins also showed the changes. The expensive designs were discarded making the beer steins more affordable and more popular. When the excavations became common in the 19th century, the uncovered Roman and Greek art also found a place in the German beer stein designs. The German beer steins always represented the culture of the age in which they were made. In the 20th century the town scenes and emblems of various guilds were given importance while decorating the beer steins. 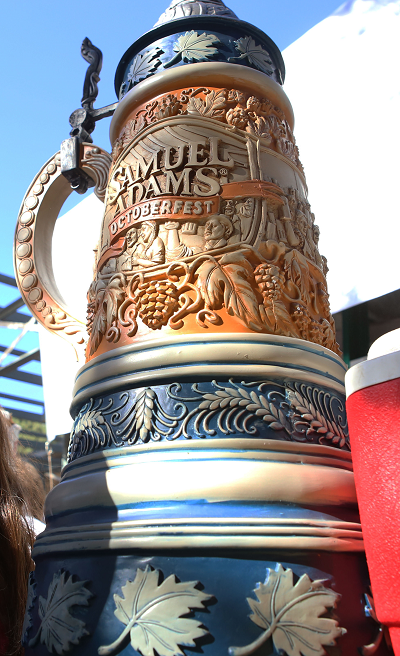 The festivals and other cultural activities also found a place in the beer stein crafting. 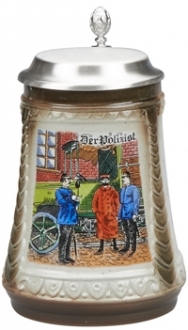 The beer steins that were issued on the Oktoberfest, for example, are still considered to be important souvenirs by the collectors. The antique beer steins are considered to be valuable collectibles for the reason that they represent an era and its culture. In short, the German beer steins are so much incorporated with German culture and history that they cannot be considered without being aware of the same.